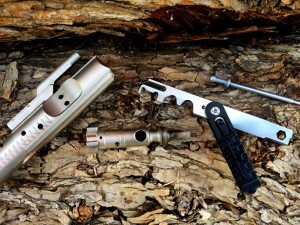 A faster, easier way to clean the bolt carrier group. The AR 15 Scraper removes heavy, baked-on fouling from 12 critical bolt carrier group surfaces faster and easier than brushes and solvent alone. It speed-cleans all 4 major parts of the bolt carrier group: the bolt, firing pin, bolt carrier and bolt cam pin. The swivel protects your hand from the double-ended scraping edges. It’s ideal for any workbench, cleaning kit or range bag. Maintaining an AR can be a tedious process when you have to deal with a lot of carbon buildup in and around the bolt carrier group. Especially if you don’t clean them regularly. Today, we’ll be looking at Real Avid’s AR15 Scraper designed specifically to help with that chore. Let’s dig in and see how well it works…. Real Avid’s AR15 Scraper was designed to simplify AR-15 maintenance on critical areas of the bolt and carrier assembly where excessive carbon buildup (fouling) can impede normal bolt carrier operation resulting in a serious malfunctions. More specifically, those with a .223/5.56 caliber bolt carrier group. 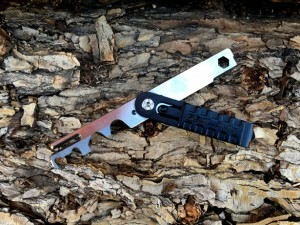 The AR15 Scraper is both lightweight and has a very small form factor. 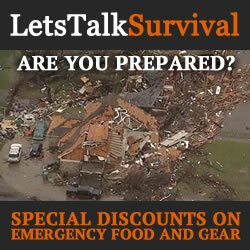 Perfect for combating that nasty buildup in and out of the field, or wherever you may need it. It is precision machined from unhardened stainless steel so it is durable enough to last, yet not excessively hard so it won’t damage the carrier group assembly. The swiveling cover protects the double-ended scraping edges as you wield it and while it is stowed away. The AR15 tool features various-sized scrapers for cleaning the critical surfaces in and around a bolt carrier assembly faster and easier than brushes and solvent can do alone. This includes the four major components of the bolt carrier group: the bolt, firing pin, bolt carrier and bolt cam pin. • Bolt: The bolt is definitely one of the more critical areas of the carrier assembly to keep clean. It is also one of the parts that receives the most buildup with each use. Additionally, it has the most surfaces to clean. Thankfully, the AR15 Scraper has many flat and curved scraping surfaces to handle each of the areas around the bolt including the inside of the bolt tail, the outside of the bolt tail and shoulder, the bolt waist, the bolt face, the bolt lugs, and last but not least behind cartridge extractor. The AR15 Scraper alone will allow you to reach an operational-level of cleanliness. However, to reach an inspection-ready level of cleanliness, you will certainly need to utilize your favorite solvent and a few cleaning patches as well. • Firing Pin: There are four curved scraping surfaces, each a different size for handling various diameters and surfaces along the firing pin. You can use solvent and cleaning patches to further clean the firing pin as needed. • Bolt Cam Pin: Cleaning the bolt cam pin can also be done with the curved scraping surfaces. Use solvent and patches as needed. • Bolt Carrier: Like the bolt, the carrier is also one of the more critical areas of the assembly to clean. It is also one of the most difficult. 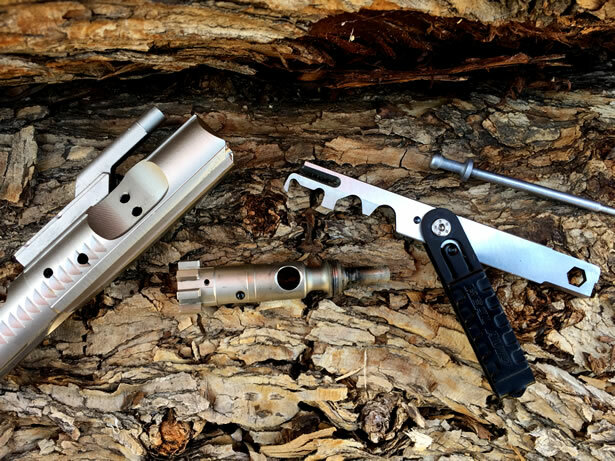 There are two surfaces inside the bolt carrier that are cleaned simply by inserting the end of the AR15 Scraper into the end of the bolt carrier and twisting clockwise until no more carbon buildup comes off. You can further clean the bolt carrier surfaces by inserting the corner of the patch through the 1/4″ hex hole, then wrap the patch over the end of the scraper. Adding solvent will also help to loosen any remaining buildup, making it easier to reach the level of cleanliness that you desire. • 1/4″ Bit Driver: Having a 1/4″ hex bit handy could be useful to loosen or tighten something. Real Avid has developed an impressive field maintenance and cleaning tool for the AR15 platform that is durable and loaded with features designed to reduce the amount of time takes to scrape and clean a carrier group assembly. Especially when used with cleaning patches and a solvent like Break-Free CLP. It is compact and very lightweight. Easily small enough to drop in your shirt pocket or the pocket organizer in your range bag. I find the AR15 Scraper to be one of those must-have tools that gets the job done quickly, and it does it very well. Thankfully, it is also very well priced so it won’t break your budget either. 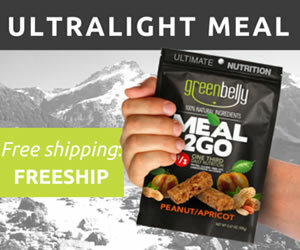 Disclosure of Material Connection: We received the product(s) mentioned above for free or at a discount in consideration for a complete, honest and impartial product review for publication on LetsTalkSurvival.com with no guarantee of the outcome whatsoever. Any opinion provided herein is based entirely on our personal experience with the product(s). Are you hungry? Are you so crazy about something that you can’t stop thinking about it, even when you should? Do you obsess about going deeper and staying longer than you ever have before? Do big horns and gobblers at dawn haunt your dreams? Well…we’re just like you. We are real hunters and shooters; students of the “core” shooting sports experience. Hungry. Never satisfied. Always hunting…for a better way. Our Mission: Solve real problems for real hunters and shooters by giving them hard-working products that are inventive, highly capable and totally unique in the market. Just keeping it real. Real Avid. Failing to prepare is preparing to fail! RXBAR Whole Food Protein Bar – No BS! Sillcock Keys and other Cross Keys: What are they for?